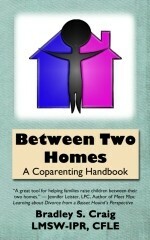 A coparenting plan is a contract that you and the other adult agree on for set guidelines you will follow. The reality is people change. Rules change, living situations change, and people move on to new relationships. The parenting plan addresses many of the pitfalls that come about to keep you out of court or conflict with the other parent. Because dividing time between adults consists of such trust with the other parent, this in a large way promotes some security that you agree on areas. The age of the child of course has a great bearing on how detailed you need to be. Young children NEED consistency between homes where older children are more adaptable but may require more rules. Parenting Plans help future relationships because it allows the significant others in your present or future to read what you agreed on and you will be less prone to follow a different path than what you initially agreed on. Bed time routines Bath before bed?, Reading before bed?, Where does your child sleep, alone or with someone?, Does your child use a blanket or pacifier?, Does your child sleep with a bottle?, Does your child sleep in a crib or bed?, Does your child sleep with or without adults?, What do you do in the middle of the night with crying spells, put them in your bed or comfort them to sleep in their own bed?, Do they listen to music while going to sleep? Discipline Reward and Punishment: How do you praise- vocally, gift, allowance, charts, etc. How do you discipline? Do you use corporal punishment? Do you use time out, send them to room, put in corner, ground (and if so, how long and for what consequences), remove privileges? etc. Will you use carry over discipline between the two homes. Relationships When should you introduce new relationships to the child? What do you want to make sure potential relationships know about your agreement before they decide to become involved? What terms will your child use when referring to stepparents- first name, mom/dad, or stepmom/stepdad? Daily Routines For younger children, what are the daily routines? What baby care products do you use? What diapers? What formulas? When do you switch foods? When do you potty train? Will you use a pacifier or walker? The list goes on and on with infants. What are the children's bed times? Will the children sleep with adults or in their own room? Illness What do you do when your child is sick? Do you still exchange? If so should the other parent be able to attend doctors appointments and should they be notified in advance baring an emergency? Should you keep a medicine checklist so you are giving medicines about the same time and noting reactions to the medications? Special Needs Does your child have special needs? Do you both need to attend appointments together? Will those special needs impact the schedule between homes? Do you need to duplicate items such as nebulizers? Will one parent be the primary caretaker or will you both be equal caretakers? Extracurricular Activities Do you need to both agree before enrolling the child? Should you tell your child you support an activity before you talk to the other parent? What happens when an event occurs during the other parent's parenting time? Can your child still have sleep-overs and independent relationships with friends near the home of their mother/father during the other parent's parenting time? Religion Will your child be raised in one faith, two faiths, or with no religious training? Will values change depending on who each parent is in a relationship with? Are there specific days that need to be incorporated in your plan? Are there specific values you want to incorporate in your plan? Do you need to mutually agree on religious activities and practices? Supervision What are your limits on adult supervision of your child? Can your ride bicycles in the street alone? Can your child run down the block to a neighbors? Do they need to check in with you when they get there? At what age can your child be left home alone and for how long? Financial contributions How will school activities or extracurricular events be covered? What do you do with clothes, do each of you keep equal stock or does one send a suitcase with all belongings? Terminology What words will you use (Visiting, Living with, When you are at your other home)? Will you refer to the other parent as "her mother/father" or as "my ex?"? What terms are appropriate for each parent and for other relatives? What terms do you want to make certain professionals for your child are using in the presence of your child? Other Family Members Will your child be able to see all family members independent of which parent they are with, or will they only spend time with maternal family during maternal time? Will all family members be invited to your child's birthday parties? Are there family members your child should not see or should always be supervised with? Child care Will you use one child care provider, daycare, or nanny, or two? What age does a child care provider need to be? Should you offer the other parent the opportunity to care for your child before you offer anyone else? Does the anyone else include grandparents, stepparents, and live ins or not? Do you offer it for two hours or more, or only if you will be gone overnight? Trips If the children will be out of the area, do you need to provide each other with itinerary? If so, how much travel information? What needs to be included in the notice? What age can your child travel alone? Decisions Who will make final decisions when all else fails or what steps will you take before bringing it to the court (i.e. Mediation)? Professional Services Who will make professional decisions? Will they need to be joint or one parent? Will one parent make the education decisions and the other the medical? Decisions Who will make final decisions when all else fails or what steps will you take before bringing it back to the court (i.e. Mediation)? Professional Appointments Do you need to notice each other in advance of appointments? Who will make the decisions regarding professional services? Online tools Will you both use online tools to help you in shared parenting? Will you use e-mail to communicate agreements? Do you create a list serve? Will you use co-parenting programs such as OurFamilyWizard? Distance Will you have a geographical restriction where your child will reside? Will there be a maximum distance between the two homes? Schedule What schedule will your child have between the two homes? Will the school year schedule be different than the summer? Will that change as they get older? What voice, if any, will your child have in that schedule? Does the schedule change depending on the distance? Holidays How do you celebrate? Will one parent have Christmas Eve and the other Christmas day? Do you rotate Christmas with one parent one year and the other the next? Which holidays do you observe? Do you have religious issues related to holidays? What about child birthdays, and what about the parent's birthdays? School Work and Study Habits Do you want to make sure there is the same routine in both homes for dealing with homework or studies? How do you handle more than one day projects that may go between homes? Car Do you need to create a mutually agreed upon driving contract for your teen? Will the car be their car or a car you are letting them borrow? Will their behavior reflect their use of the vehicle? Who will teach your teen to drive? Children's Property What do you do with clothes, do each of you keep equal stock or does one send a suitcase with all belongings? Who does the property belong to, you or your child? Can they carry what they want to between homes? How do you help them prepare for anything they might need to carry between homes, such as school work? Click here for a sample plan. A form both parents can work with their attorneys on helps to define the rights, duties, and privileges of each parent. Click here to review this form.